Dawn Koutsky has worked in the healthcare industry for 34 years, starting with skilled nursing then moving into hospice care in 2001. Tri-City Medical Center has been a hospital that Dawn has conducted business with for the entire 34+ years of her healthcare career. Currently Dawn is working for Hospice of the South Coast as their Director of Business Development. Hospice of the South Coast provides unique hospice care here in San Diego County. In addition to their transitions program, Hospice of the South Coast provides a higher level of care then most hospice's. Their Full Circle program supports families after their loved one has passed in a supportive, caring, and informative way. 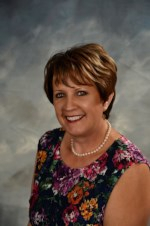 Dawn has served as President of the San Marcos Community Foundation, a past board member for San Marcos Youth Baseball and Secretary for Murrieta Rotary. Caring for people at the end of their life has always been a passion for Dawn, “supporting patients and their families at the most difficult time can be very rewarding” says Dawn. Currently living in the Escondido area, Dawn and her husband David have raised two boys and welcomed a daughter in law to their family. Dawn and her husband enjoy camping and spending time with their family and friends.